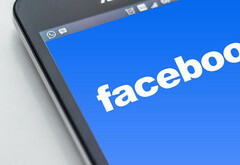 Although Facebook already filed an appeal, it is worth mentioning that the Berlin regional court ruled against its data-collection practices, saying that the default settings break the law, while some terms and conditions do not meet the legal standards needed to get the users' effective consent. This new court case revolves around the Federation of German Consumer Organisations (locally known as Verbraucherzentrale Bundesverband, or VZBV), which has already taken a few actions against the social network in the past. First, they did it against Facebook's Friend Finder tool and its user of users' photos in ads, then they targeted the data sharing between WhatsApp and the social network. Now, the time has come for Facebook's data collecting policies to be condemned. Why? Well, the VZBV claims that Facebook is breaking the German data protection law by collecting personal data without allowing its users' to get easy access to the information needed to make informed choices. The default settings break the law by automatically sharing the users' location (Facebook mobile app), the users' profiles can be found through search engines by default, and eight of the Facebook's terms and conditions are too broadly phrased, thus not meeting the legal standards. All in all, Facebook had it pretty good this time in Germany. Although we expect for them to fix these problems without being forced to pay damages or to take any radical measures, it is good to see that consumers are standing up for their rights. Maybe this will wake up some people in Facebook's offices and they will be more careful when banning accounts that were mass-reported simply because they opposed the wrong company, government, or some Facebook faction (if you're missing the Looney Tunes series by Warner Bros., you have to get on Facebook Groups for some real-life, contemporary loonies! ).